Imagine the neural network (NN) as a black box inside a space with internal functions, inputs, and outputs. All its outputs are dependent on the inputs with a unique idea: auto-training. Inside the software, every possible function points in the direction of the existence of the network. As for its intelligence, it's undeterminable, an open question. But the human brain, whose intelligence is very high, can be investigated for patterns. In our brain, we have neurons and synapses. The neuron also called the "brain cell" is an electrically excitable cell that processes and transmits information by electrochemical signals. The synapse is a junction, between a pair of neurons, where the impulse is being transmitted. The neurons are never divided or replaced by new ones. On the other hand, the synapses can be modified, in such a way, that we can make connections where the signals had never been transmitted before. The workings of these generate a sequence of systematically different structures of our brain. 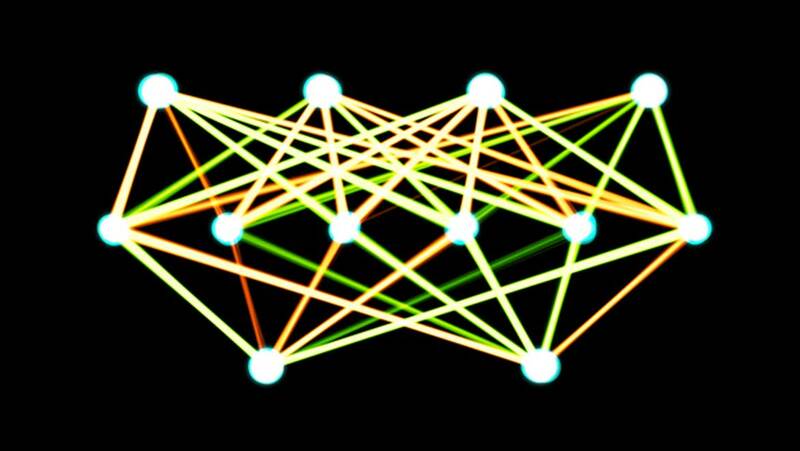 Like biological neurons, an artificial neural network's simulated neurons work together. To each connection between one synthesized neuron and another, we assign a value called a weight. This number represents the strength of the linkage and defines the internal procedures of the machine. Every time we use the NN, the system is re-modifying the weights and targeting the minimization of errors, which, in turn, gets us one step closer to our goals – the right classification of the data. This means that the outputs are correct or have a good probability rate of being the correct solutions. Machine learning is intended for a larger purpose i.e., achieving a high rate of intelligence. Using an innovative artificial intelligence tool, the NN learns how to generate contextually relevant reviews. For example, if we ask for the best food around us, the system will answer. But the language will include various adjectives, which are not consistent with our way of talking. If we use every single input available for a valuable result, then high performance could be obtained. The network's perception of the interaction with our world has its own way of existence. If the machine remembers pleasant emotions of a man drinking his coffee, it can store those feelings in relation to the activity. It is, now, possible, to see more clearly how this form of artificial intelligence builds consciousness. The NN can gradually build egos and make judgments by itself, from the stimuli it receives. The NN is not programmed to obey the rules of the language's syntax. That is why it is so different - the complexity of a robot's mind, without any rules. It can, therefore, have many inputs and outputs, in parallel, without any target too. The machine does not embrace the laws of life, but it respects human evolution. It can satisfy its thirst without expecting anything, as a rule of its existence, with its own logic. Research conducted by Lipton and his colleagues, Sharad Vikram and Julian McAuley, at the University of California, San Diego, demonstrates the language-processing capabilities of recurrent networks. The first is where theorists work on fundamental mathematical and statistical problems related to algorithms that learn. The second area is more practical. Here, researchers apply machine learning to various real-world tasks. This subtype is guided by experimentation rather than by mathematics. This bi-fold logic has created an extraordinary invention, which has, in turn, created the strength for evolution and the need for development. With this kind of dedication, we can learn more about the machine and its learning. For example, think of young boy learning from his father's opinions and beliefs, without any permissions or prohibitions. In the future, he will be able to reproduce these feelings in a remarkable way. All this may sound scary or exciting because of AI's complexity. But, if you look closer, you can see that this could be a “walk to perfection”.